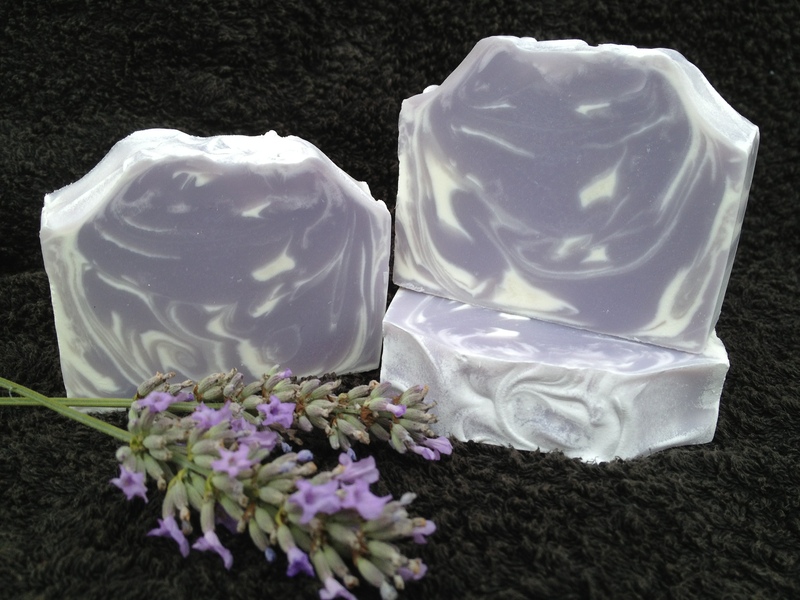 Back in August, amid all the buzz heralding the release of Soap Crafting by Anne-Marie Faiola (aka The Soap Queen), I entered a prize draw posted by the lovely Cee on her Oil & Butter blog. 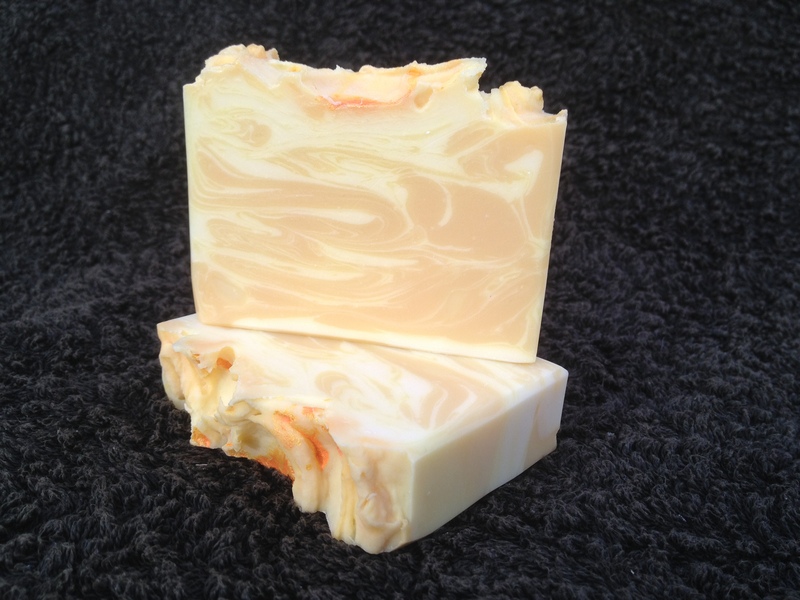 A number of soapy bloggers had been asked to review the book and make a soap using one of the recipes/methods therein. They were also given an extra copy of the book to give away to one of their (US based) readers. 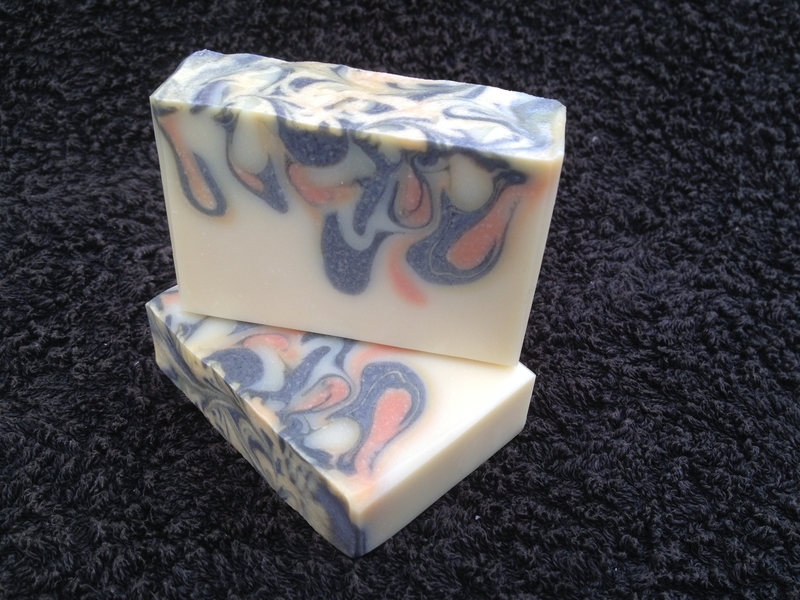 As part of her review, Cee made a loaf of Alkanet Root & Fennel soap from the book and all we, the readers, had to do to enter the draw was to comment on the post about essential oil blends and/or natural colourants, and names would be drawn out of a hat (so to speak). Now, not being in the US, I knew I wouldn’t be getting my mits on a copy of that coveted book, but Cee wasn’t about to forget her international readers, oh no :). 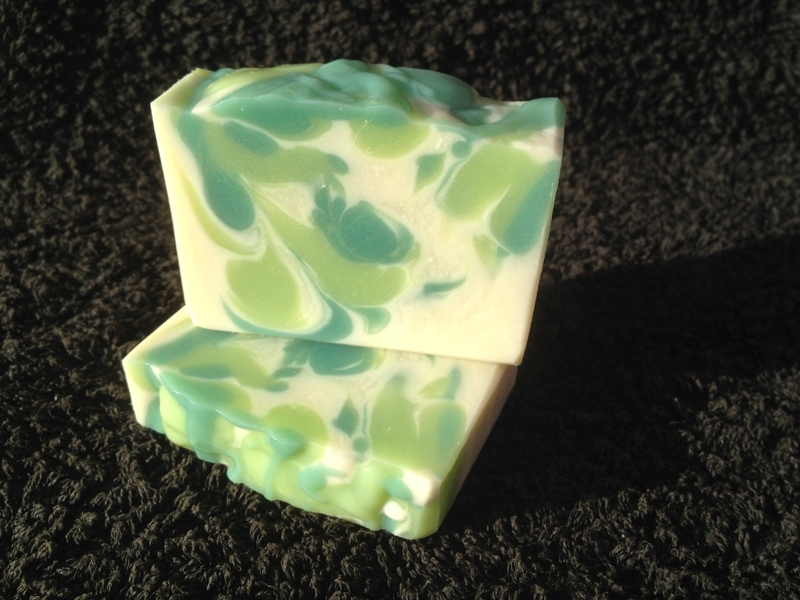 As well as giving away a copy of the book, Cee was generously giving away a bar of that very soap to one of her lucky international readers. Thank you once again Cee for sending it all this way – I love it! 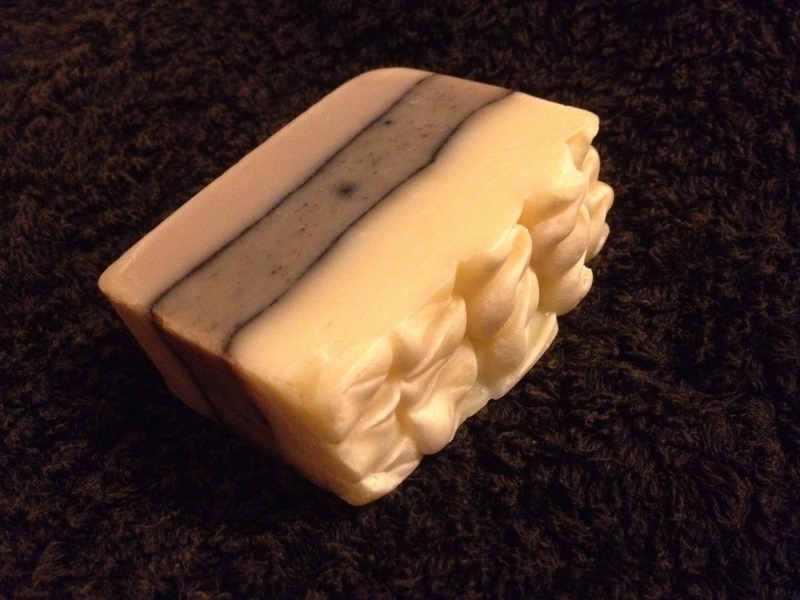 My original plan was to create a four colour version of the black and white soap in the header <up there> but it thickened up really quickly on me, and I had to work quickly to spoon it into the mould and swirl the top. 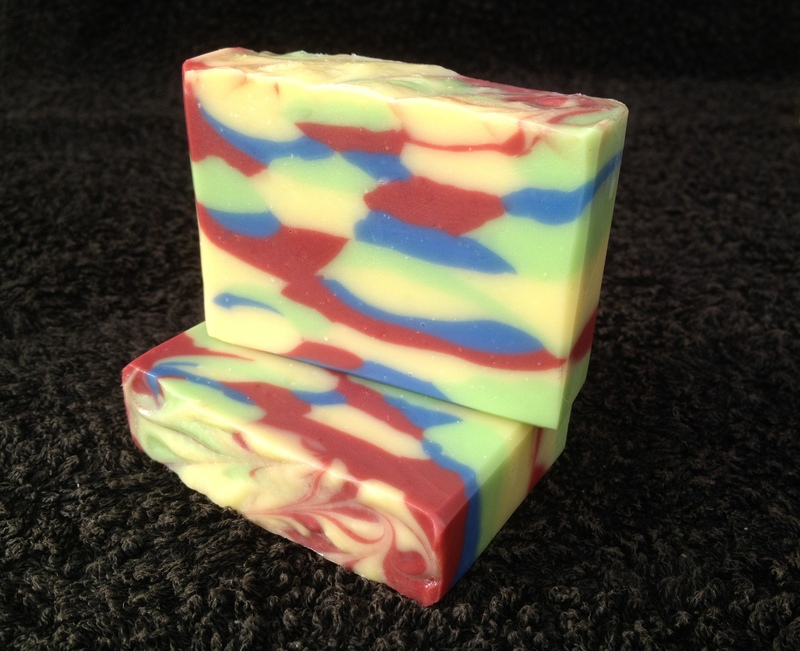 It’s scented with “Jelly Beans” fragrance oil, a sweet, fruity fragrance that has held well, and really suits the colourful design. 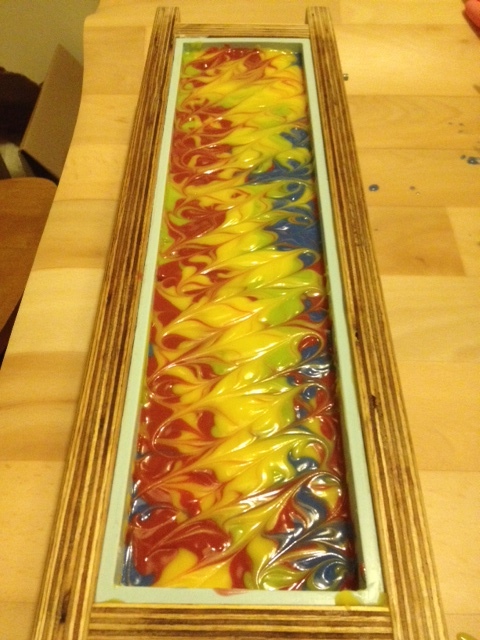 I’ve also been experimenting with creating my own essential oil fragrance blends. 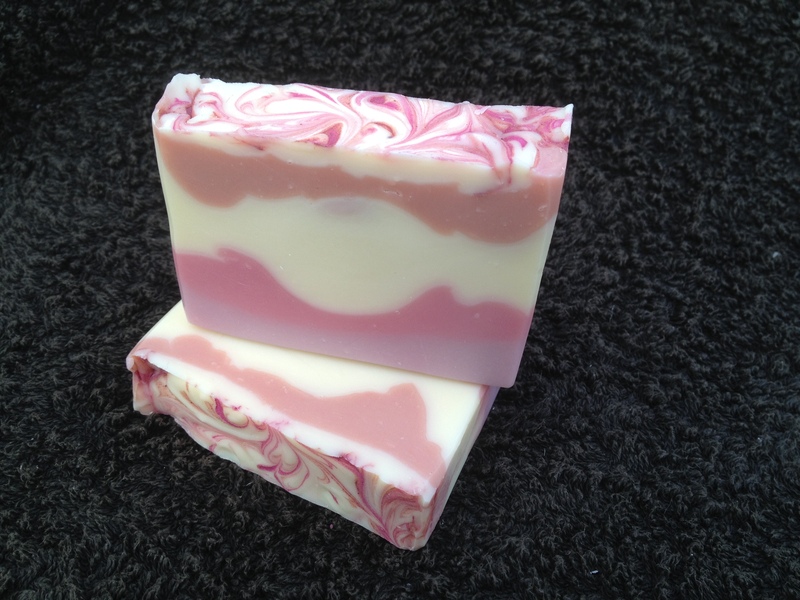 Neither of these soaps have names yet, but the first one is fragranced with a lovely blend of Rose Geranium, Clary Sage and Lemon essential oils, and the second is fragranced with a totally delicious blend of Aniseed and Orange essential oils.